So, I took a course on Coursera about Design. The course was more about designing stuff rather than clothes, but I quite enjoyed it. As a project for this class I decided to design a hat linked to a scarf, to have a portable hood for ever changing weather here. As a part of the assignment we had to create a website to log our progress. Here is mine. I am not happy at all with the outcome – it really isn’t something that I would enjoy wearing, but it looks like my son has adopted it, so effort is not completely useless. 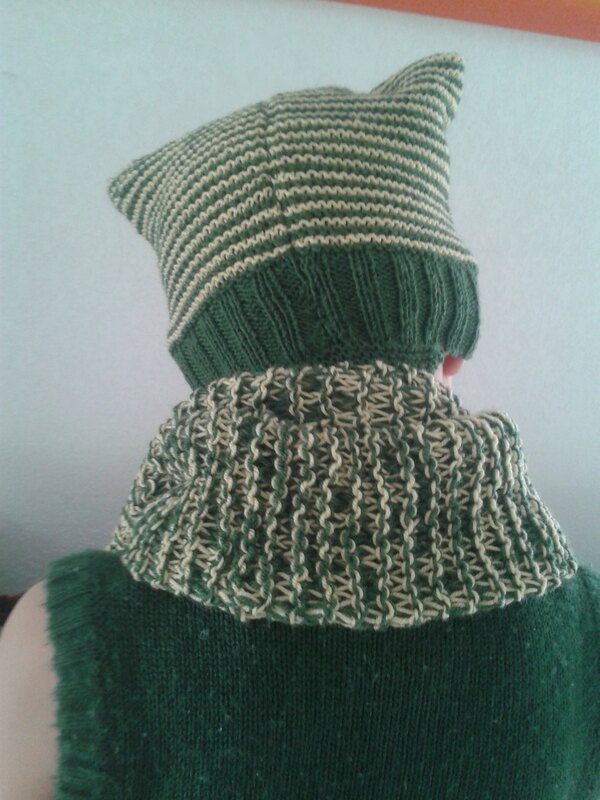 Originally, I was planning to publish the pattern – ideally as a paid one (the illusion knitting panel is taken from my older pattern, and would not be part of this one). But I have doubts if anyone needs it – even for free, leave alone for money. So I’d appreciate any feedback on this. Separator image Posted in My kniting & crochet and tagged with design, hat, knitting, knitting design, scarf.